Recently, Xiaomi has officially announced the date of the announcement of its next frameless smartphone Mi Mix 3. According to the published poster in the social network Weibo, the novelty will be shown at the presentation on October 25. The event will be held in Beijing, China. Today, Company release a teaser on Weibo. According to the teaser, This terminal becomes the most important smartphone of the year to have an innovative design and add new technologies like 5G and more RAM than any other terminal of the brand. 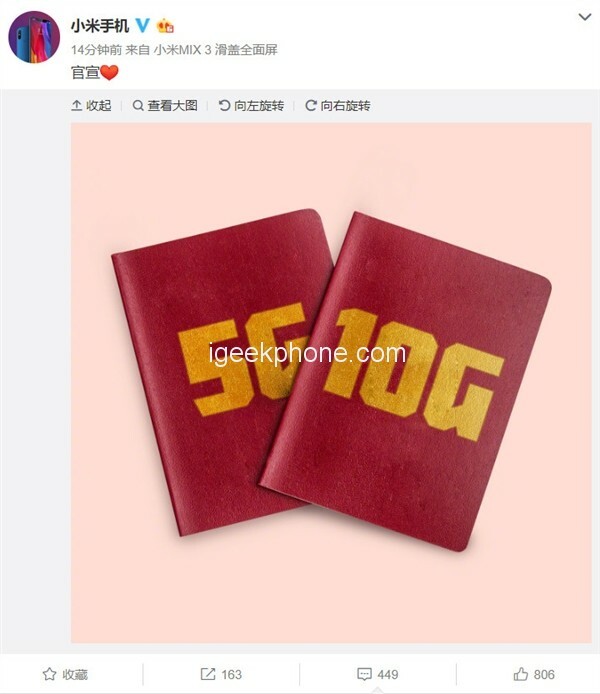 Image showing that Xiaomi Mi Mix 3 will have a 10GB RAM variant with 5G Networks. 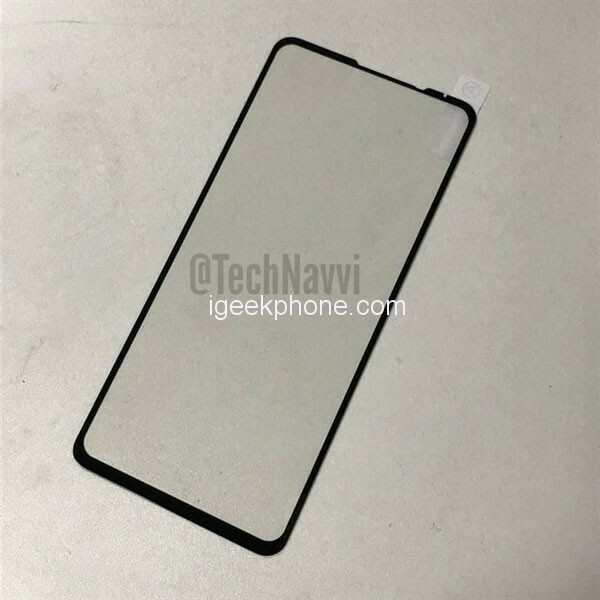 A few hours ago the Twitter user @TechNavvi who covers ‘new looking tech news, views, leaks, and reviews’ has shared some pictures of the alleged Mix 3 tempered glass which revealing a minimal bottom bezel. Similarly, it has appeared on various certification agencies giving us hint that it is coming our way. 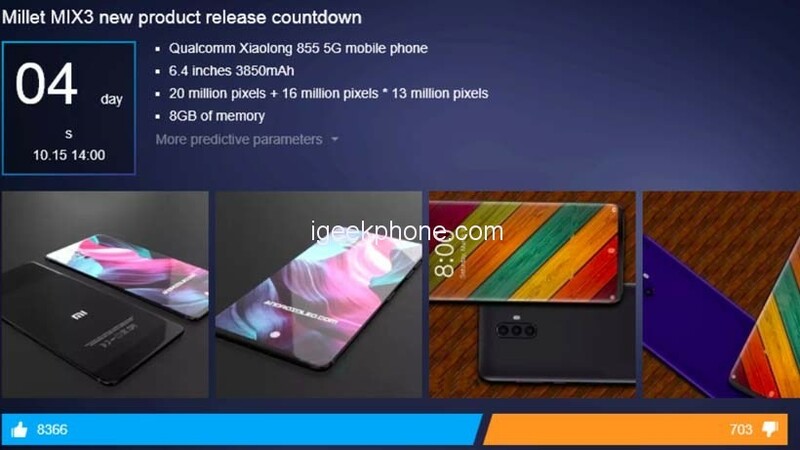 The recently released a countdown page for the Xiaomi Mi Mix 3 on a Chinese website. According to the specs sheet displayed on the webpage, the Mi Mix 3 will be shipped with a 6.4-inch screen display, an 8GB of RAM, 256GB of onboard storage, a 3850mAh capacity battery, dual-lens (16MP+13MP) camera system on the rear panel and a single-lens (20MP) selfie snapper on the front end. We are thus eagerly waiting for the brand to decide to reveal one of the most anticipated smartphones of 2018. 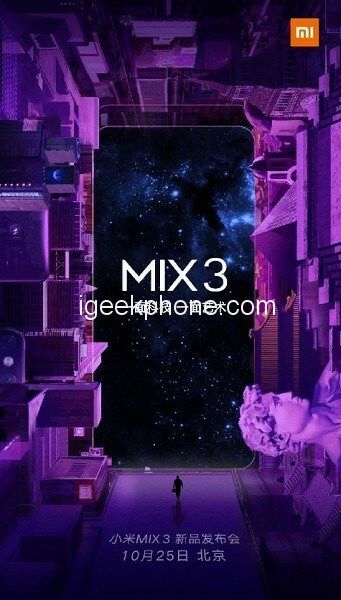 According to a recent listing in the store Xiaomi.shop, the Xioami Mi Mix 3 will have a RAM of 8GB with built-in storage of 128GB and a price of $452.